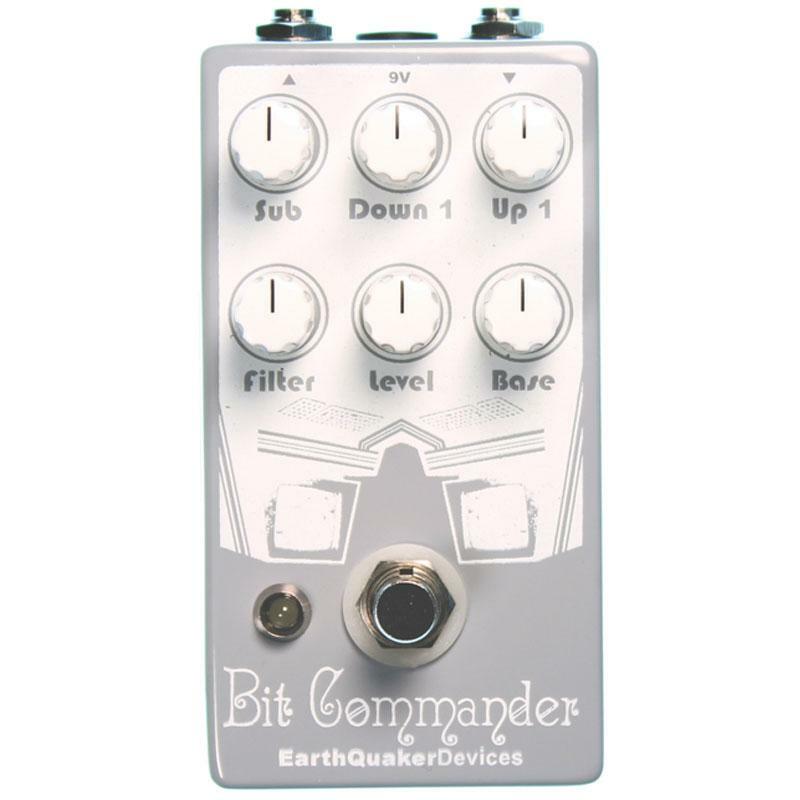 The Bit Commander from Earthquaker Devices is a monophonic analog guitar synthesizer with four octaves of vintage square wave synth tones. The Bit Commander is a monophonic analog guitar synthesizer with four octaves of vintage square wave synth tones. It’s no-nonsense interface makes it easy to add or subtract octaves to create a wide variety of sounds without having to dial in envelopes or oscillators. Ripping sub-octave thump, pulsing octave down, a lightly squared base tone and a swelling transformer based octave up all join together to make a single guitar sound like an army of olde tyme synths. Filter: Tone control, more highs clockwise, more warmth counter clockwise. A standard 9 volt DC power supply with a negative center 2.1mm barrel, no battery option. This product is covered by a limited lifetime manufacturer warranty.